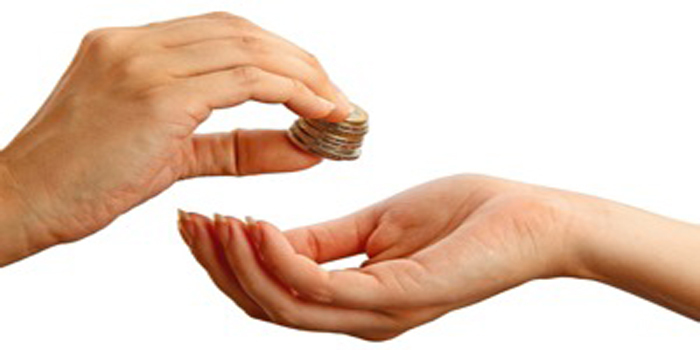 A CHARITABLE ORGANIZATION is a type of non-profit organization (NPO). It differs from other types of NPOs in that it centers on non-profit and philanthropic goals as well as social well-being (e.g. charitable, educational, religious, or other activities serving the public interest or common good). BLACKBAUD - "Your Passion. Our Purpose." Fundraising software, nonprofit accounting software & nonprofit management system. Learn Abount Humanitarian Aid Projects - by Obinna Ekezie. The Charitable-Industrial Complex - by Peter Buffett. The Corporate Takeover of the Red Cross - ProPublica. 1% For the Planet - "A Growing Global Movement." Let's face it: we all have a responsibility to our planet. As businesses, consumers and global citizens, we all have a part to play. Learn how to be 1% better through everyday actions, events and commitments. Plus, enter to win sweet prizes from our network of members. ACTION AGAINST HUNGER - "Providing innovative solutions to world hunger." CARE - defending dignity, fighting poverty. CATHOLIC RELIEF SERVICES - "Giving Hope to a World of Need." CHILD HOPE INTERNATIONAL - founded in 2001. CHILDHOOD FOUNDATION - aimed at the most marginalized children, the ones most often ignored and forgotten. Civitan International - founded in 1917. Association of community service clubs founded in 1917. The organization aims "to build good citizenship by providing a volunteer organization of clubs dedicated to serving individual and community needs with an emphasis on helping people with developmental disabilities." The organization includes 40,000 members (referred to as Civitans) in almost 1,000 clubs around the world. Clinton Foundation - established by former President of the United States Bill Clinton with the stated mission to "strengthen the capacity of people throughout the world to meet the challenges of global interdependence." COMPASSION INTERNATIONAL - Sponsor a child. Relocating children from poverty. CONCERN WORLDWIDE - "Targeting extreme poverty is our core value." CONVOY OF HOPE - "Providing Real Help and Lasting Hope to People in Need." COPI | CHILDREN OF PEACE INTERNATIONAL - a humanitarian organization dedicated to helping the people of Vietnam develop the capability to help themselves. CURE INTERNATIONAL - "Healing changes everything." DANIEL PEARL FOUNDATION - "The Foundation's mission is to promote tolerance and understanding internationally through journalism, music and dialogue." DIRECT RELIEF INTERNATIONAL - "Healthy People. Better World." EVA'S HEROES - an organization dedicated to enriching the lives of those with developmental challenges by providing an inclusive setting built on four tenets: interact, grow, learn and love. FEED THE CHILDREN - "It's who we are. It's what we do." FOOD FOR THE HUNGRY - We go to the hard places." FOOD FOR THE POOR - "Saving the poorest of the poor." Free the Children - international charity and youth movement founded in 1995 by children's rights advocate Craig Kielburger. The organization is largely youth-funded, based on the concept of "children helping children". It specializes in sustainable development in the countries of Ecuador, Ghana, Haiti, India, Kenya, Nicaragua, Sierra Leone, as well as Rural China. FRIENDS OF THE ORPHANS - "Raising children. Transforming lives." Glide Foundation - it is known for working with investor Warren Buffett who has donated the proceeds from his eBay "Power Lunch with Warren Buffett" auctions to Glide. HEAL AFRICA - "Our mission is to provide holistic care for the people of the Democratic Republic of Congo: training health professionals, strengthening social activists." INTERACTION - "A united voice for global change." The largest coalition of U.S.-based international nongovernmental organizations (NGOs) focused on the world’s poor and most vulnerable people. INTERNATIONAL RELIEF COMMITTEE - "From Harm to Home." Jon Bon Jovi Soul Foundation - founded in 2006. 501(c)(3) non-profit organization that focuses their efforts on the issues surrounding homelessness in the United States. LIFE FOR RELIEF AND DEVELOPMENT - "Where there is LIFE, There is Hope." MERCY CORPS - "Be the change." NELSON MANDELA FOUNDATION - established after Mr Nelson Mandela’s retirement on August 19, 1999 and embodies the spirit of reconciliation, ubuntu, and social justice. NETWORK FOR GOD - Network for Good is a website where users can donate to charities and search for volunteer opportunities.The website was founded in 2001 by America Online, Cisco Systems and Yahoo!. OLPC | ONE LAPTOP PER CHILD - Mission Statement: To create educational opportunities for the world's poorest children by providing each child with a rugged, low-cost, low-power, connected laptop with content and software designed for collaborative, joyful, self-empowered learning. OPEN SOCIETY FOUNDATIONS - work to build vibrant and tolerant democracies whose governments are accountable to their citizens. Supported by George Soros. OPERATION SMILE - provides free surgeries to repair cleft lip, cleft palate and other facial deformities for children around the globe. OPERATION USA - "Give and it gets there." OXFAM INTERNATIONAL - "Working together to end poverty." PAN AMERICAN HEALTH ORGANIZATION - Area on Emergency Preparedness and Disaster Relief." | WHO. PARTNERS IN HEALTH - "Providing a Preferential Option for the Poor in Health Care." POPULATION SERVICES INTERNATIONAL - "Healthy lives. Measurable results." PROJECT HOPE - "Health delivered." RAISING MALAWI - in 2006 Madonna and Michael Berg founded Raising Malawi to bring an end to the extreme poverty and hardship endured by Malawi's 2,000,000 orphans and vulnerable children once and for all. RELIEF INTERNATIONAL - "Saving Lives, Sustainable Livelihoods." SAVE THE CHILDREN - helping children in poverty and children in need. Sovereign Military Order of Malta - founded in c. 1099. Roman Catholic lay religious order of, traditionally, a military, chivalrous and noble nature. It is the world's oldest surviving order of chivalry. The Sovereign Military Order of Malta is headquartered in Rome, and is widely considered a sovereign subject of international law. The order is notable for issuing its own international passports for travel, postal stamps, along with its formal insignia, often portrayed as a white or gold Maltese cross. Today the order has about 13,000 members; 80,000 permanent volunteers; and 20,000 medical personnel including doctors, nurses, auxiliaries and paramedics in more than 120 countries. THE GIVING PLEDGE - philanthropic campaign started in June 2010 by American billionaires Warren Buffett and Bill Gates. "It is an effort to invite the wealthiest individuals and families in America to commit to giving the majority of their wealth to philanthropy." As of August 2010, 38 billionaires in the US have joined this campaign and pledged to give 50% or more of their wealth to charity. THE SALVATION ARMY - "Doing the Most Good." WATER.ORG - co-founded by Matt Damon and Gary White, Water.org is a nonprofit organization that has transformed hundreds of communities in Africa, South Asia, and Central America by providing access to safe water and sanitation. WFP | WORLD FOOD PROGRAMME - "Figting Hunger Worldwide." WHO | WORLD HEALTH ORGANIZATION. WORLD CHILDHOOD FOUNDATION - work is aimed at the most marginalized children, the ones most often ignored and forgotten. WORLD CONCERN - "Life - Opportunity - Hope." WORLD VISION - "Building a better world for children." WORLD WATER RELIEF - Water For Living." YÉLE HAITI - a grassroots movement inspiring change in Haiti through programs in education, sports, the arts and environment.